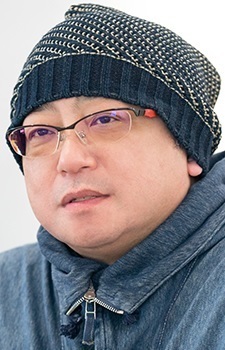 Masafumi Mima is the president of the sound production company Techno Sound, which he joined in 1997. He has held the position since 2004. As a student, Mima worked part time at the radio company Nippon Cultural Broadcasting, where he assisted in the production of radio dramas. After graduating in 1984, he joined Magic Capsule as an apprentice to sound director Susumu Aketagawa, to whom he is related. Mima left the company after 12 years and briefly became a freelance agent before joining Techno Sound. Mima's first work as a sound director was for the 1988 OVA Madonna: Honoo no Teacher. Eiga de Toujou! Tamagotchi Dokidoki! Uchuu no Maigotchi!? Man this guy. He KNOWS how to handle music usage. Perfect usage of Sawano's music in Attack on Titan and perfect usage of Hayashi's music in My Hero Academia. Also seriously he doesn't compose the music, he just makes the decisions on how the music and sfx is used in an anime.